Tomato is a very commonly using vegetable, India is the second largest country cultivating it. We can very easily cultivate tomatoes without using any chemical pesticides in your home kitchen garden and terrace garden. Seeds are using in tomato farming (click to buy seeds online) , its very easily available. Its better to select the varieties that can prevent the bacterial decease. Shakthi , Mukthi, Anagha, Vellayani Vijay, Manu Lakshmi are the examples of the varieties that can prevent the bacterial wilt. Its better to dip the seeds at least 1 hour in plane water or Pseudomonas solution (2%). You can use organic fertilizers to grow the tomato plants healthy. we have already discussed about the fish amino acid and ground nut cake etc here. Its better to apply the Pseudomonas (2%) in every 7-10 days gap. You can grow tomato in grow bags, plastic bags etc. Its better to avoid chemical fertilizers in tomato cultivation. 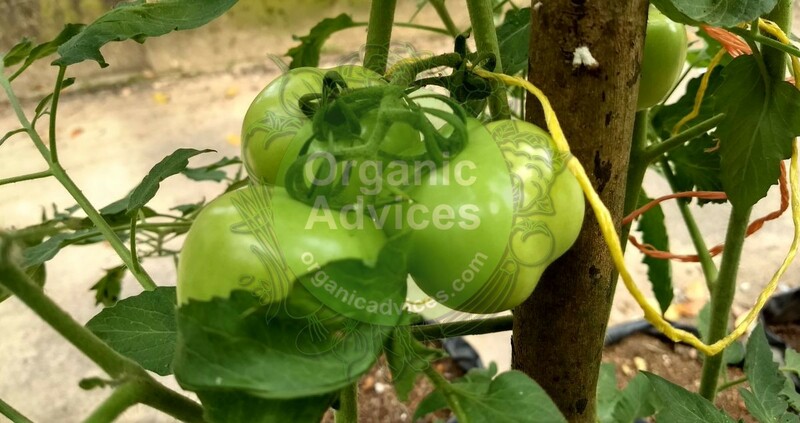 we have written about thakkali krishi reethi in malayalam here and also posted about how to prevent tomato bacterial wilt. Its better to provide stay for tomato plants, while its growing you should provide stay for them. Hi I am looking for genuine suppliers of organic vegetables and fruits for chennai city.